We’re calling time on January Blues in favour of a much more appealing colour. The palette currently catching our eyes? Lavender. Swap those millennial pink-tinted glasses in favour of this new floral infusion. A softer take on seasonal brights, this lilac hue is every bit as dreamy as its flowery namesake. Instantly conjuring images of whimsical summer days even in the face of the current frost, lavender promises to transport your wardrobe to the new season. A more gentle approach to your usual jubilant summer palette, lavender still packs a punch in terms of eye-catching colour. Ready to transform your wardrobe into a brighter place? Look no further. 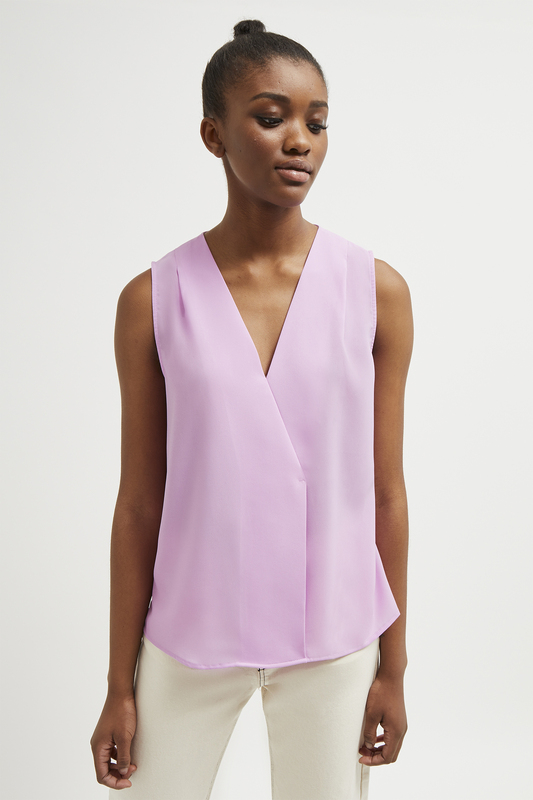 Kick-start your lavender obsession with a welcome update to your collection of tops. 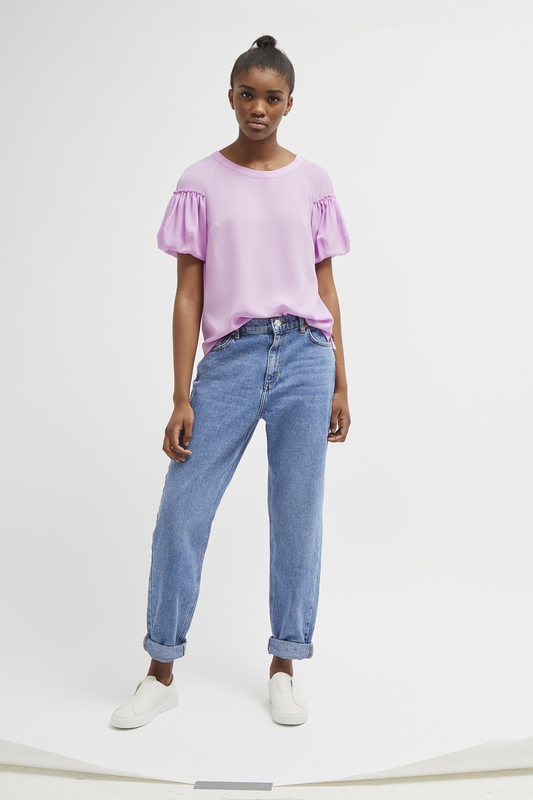 Brighten your 9 to 5 wardrobe in our classic Crepe Light tops, where easy, versatile silhouettes are given a seasonal twist in our new favourite hue. From puff sleeves to a flattering wrap front, these pieces are guaranteed to enliven your go-to jeans and tailored trousers. 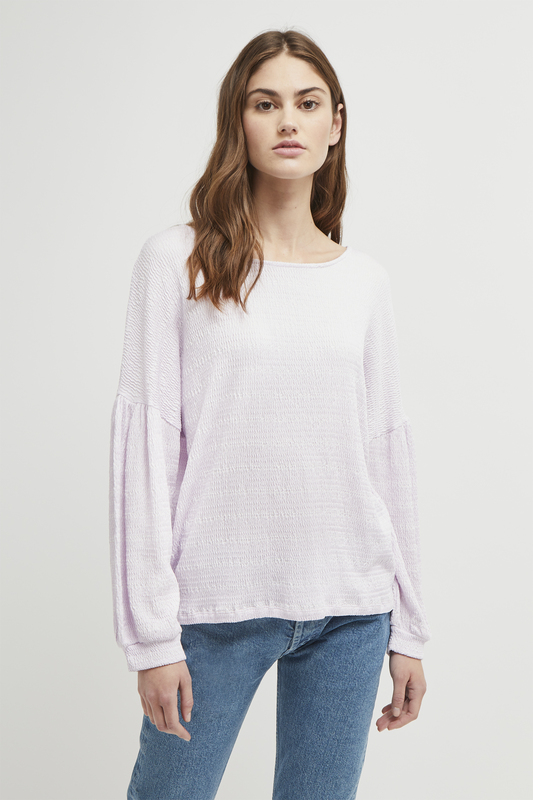 On more casual days, the Pearle Jersey Top is the soft, easy piece you need for pairing with favourite denim. The cold weather might show no sign of warming up any time soon, but we’re infusing our wardrobe with a touch of spring in the form of lavender knits. 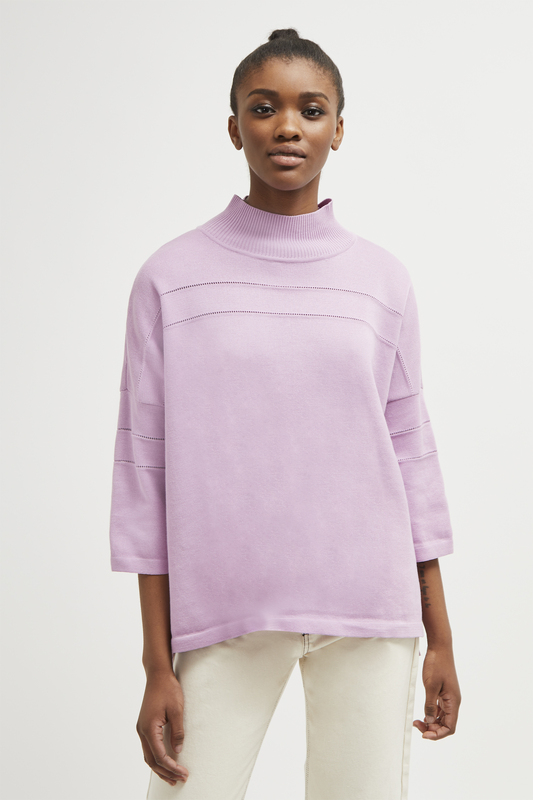 The Rosina Jumper offers the cosiness of a high neck style, with the statement-making power of bright lilac. Meanwhile the Nerina Ladder Jumper is a sleek style with statement ladder inserts. Relax in the Madison Jumper, an oversized high neck style ideal for adding flair to your off-duty wardrobe. Take your pick – your knitwear collection deserves an update. The ultimate in statement dressing, this suit is calling out to be your perfect plus one come wedding season. 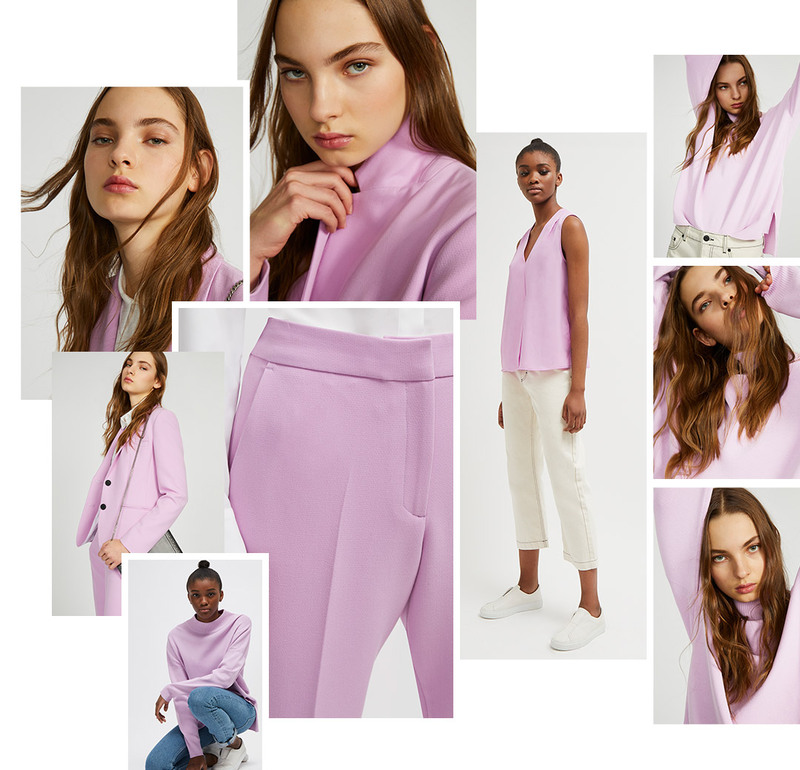 That lavender hue we can’t get enough of turns this classic tailored suit into a scene-stealing two-piece, with the pastel palette acting as the perfect seasonal update. Simply add heels and a white shirt for a new approach to wedding season.